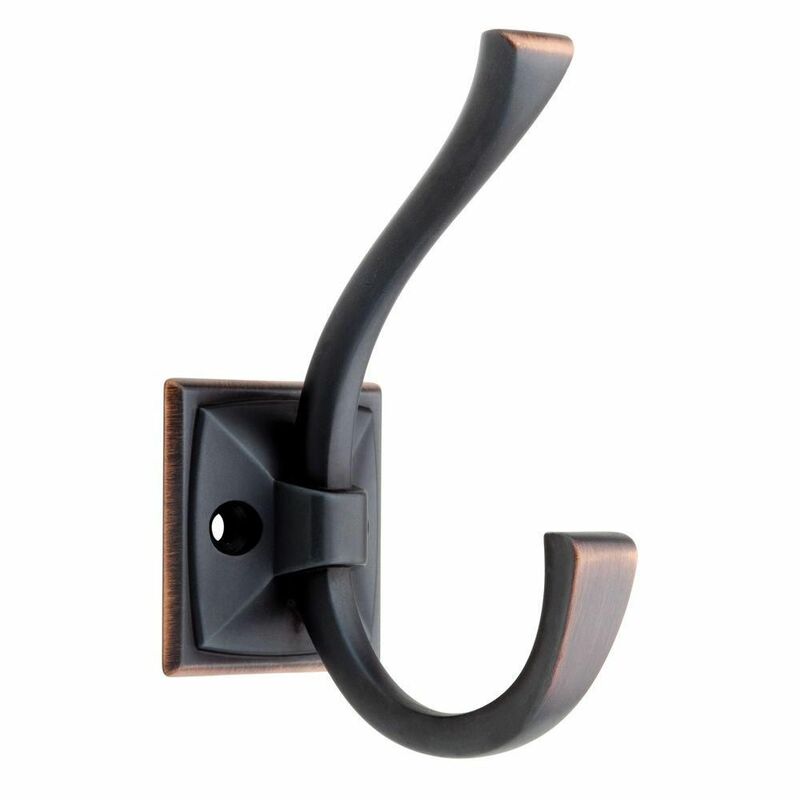 Ruavista Coat & Hat Hook Bronze w/ Copper Highlights Organization with style has never been so easy. This metal hook is designed to hold a wide variety of items coats, hats, handbags, umbrellas, towels or robes. This classic design is perfectly suited for any room from the entryway to the bathroom. Ruavista Coat & Hat Hook Bronze w/ Copper Highlights is rated 4.9 out of 5 by 26. Rated 5 out of 5 by bb from Very good quality. Very good quality. Rated 5 out of 5 by Jason from Stylish and perfect style ! Really fits in the style... Stylish and perfect style ! Really fits in the style of home! Great quality and easy to install!! Rated 5 out of 5 by Like from Looks great in the new mud room. Strong. Durable. ... Looks great in the new mud room. Strong. Durable. Rated 5 out of 5 by HomeDepotCustomer from I’m very happy with these hooks for our entryway! They... I’m very happy with these hooks for our entryway! They seem very sturdy. We did use anchors to hang them though since we knew they would be used for coats and purses. So far so good! Rated 5 out of 5 by HomeDepotCustomer from I love the hooks. They go perfectly with my vintage... I love the hooks. They go perfectly with my vintage curtain rod that holds my quilt. How tall is this hook and how wide?